As we continue to remind ourselves and the rest of the world, ‘New Zealand is a small country’ and in small countries, of course, little things mean a lot. As well as being small we are a ‘rugby’ country to the extent that a slight twinge in the halfback’s hamstring can provoke banner headlines. Rugby is a strange game to folk like me who preferred an injury free childhood. Devotees describe it as the ultimate contact sport and sell it to kids and mothers as character building, but after a couple of incidents during schoolboy games this week, I’m a bit concerned about what sort of character they’re creating. In the first incident, a 12 year old boy responded to a referee’s decision by punching him to the ground. The second event had a bit more humour to it: after an on-field spat, a disgruntled umbrella-wielding father, deciding perhaps that confining violence to the field of play was discriminatory, sought to redress this by invading the sacred turf with slashing brolly. This naturally had a flow-on effect and concluded with 40-odd spectators merrily scrapping away. Both cases caused considerable angst to the El Supremo of Auckland Rugby, but he solved that by declaring that, while it was unacceptable, it was ‘a societal’ problem. Nice one son! 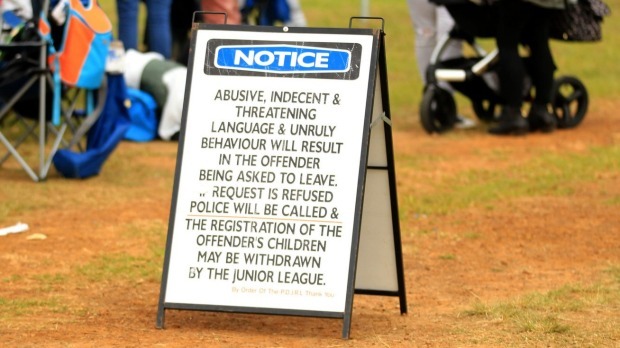 If you want to stamp out youth thuggery, blame it on some other poor sods. The next teenager to cause problems was 15 year old Anela Pritchard who was set the task of giving a speech to fellow pupils. Anela was obviously raised to speak her mind because she described her teachers as lazy as well as more inclined to hand out pieces of paper than prepare her for coping with life. She went on to say that the staff seemed more concerned with uncertainties surrounding their contracts and irregularities in salary payments than actually teaching. I would have thought any educational institute worthy of the title would have expressed pride at having provided a young woman with the ability and confidence to articulate her concerns and criticisms, but not these guys! They suspended her! Any school that obviously favours smarmy platitudes instead of openly-voiced opinion really needs to take a close look at itself. Despite the recent conviction of a 13 year old for killing a shopkeeper and his mother’s public confession to years of drug and child abuse, it can’t, as the populist theory has it, just be all about upbringing. A heck of a lot of privileged kids go off the rails, whilst others overcome physical and emotional abuse. I spent too many of my formative years repairing early damage rather than building. I guess I was one of the lucky ones: I met good, basic role models that spoke a language I could respond to; unlike the social workers who were middle class matrons entrusted with setting me on the right path. One, I vividly remember, sported a pearl necklace that would probably have fed and clothed me for a year along with a cut glass accent that might as well have been Swahili for all the effect it had. It was a case of someone trying to reach through a wall of envy and resentment to make some form of connection (it didn’t happen). Anela probably won’t need that sort of guidance, but the others certainly will. I just hope they get it from someone with more common sense than PC text book philosophies.